1. Can Hepatitis C be transferred from parent to child through physical contact? 2. Are people that have never done drugs or had any blood transfusions at risk of getting hepatitis C? 3. Can pregnant women transmit hepatitis C to their unborn child? 4. Can a child contract hepatitis C through breastfeeding? 5. 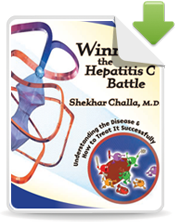 Does hepatitis C have any symptoms associated with the disease? 6. Can someone with hepatitis C pass it along to a sexual partner? 7. Do herbal remedies help treat hepatitis C? 8. Can drinking alcohol when I have hepatitis C make it worse? 9. Is there a treatment for hepatitis C?